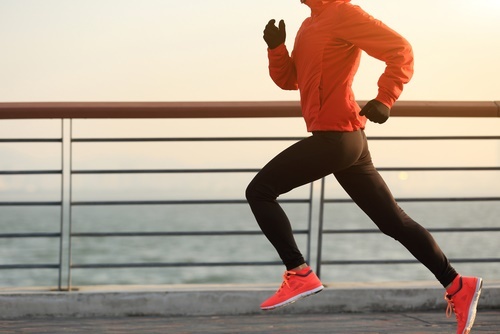 Running is one of the most beneficial ways to ensure healthy living. It promotes healthy weight loss, increases lung function, and can even help prevent diseases. However, as nothing is ever completely black and white, running proves to be no different. While it certainty is an important part of self-care, it can also quickly become dangerous if not done in the proper way. With illnesses like dehydration and heat stroke, looming over every runner’s head, it’s important to make sure you’re always doing running right. Lightweight (Velcro adjustments keep the hat lighter and cooler then metal adjustments). Why Wear a Hat While Running? Why a Regular Cap Just Won’t Cut it? Finding the perfect hat for you can be an expensive and exhausting process. So instead of you have to read hundreds of descriptions and thousands of reviews, we’ve gathered our favorite products right here for you. 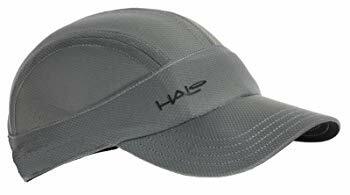 The Halo Sports Hat comes with a patented Sweat Seal Grip technology. The sweat technology keeps sweat from dripping down into your eyes and the grip technology keeps the hat in place. Moreover, the hat comes with additional hooks and straps for adjustability to ensure the perfect fit. The dry line fabric, stitched into the hat traps and evaporates moisture before it can drip down onto your face. Finally, the one-size-fits-all hat, provides protection from the sun, making it perfect for any outdoor activities. This beanie catches the sweat before it even has the chance to drip down your face. It’s a one size fit’s all, stretchy, lightweight skullcap, and can be worn either on its own or with something on top of it. This skullcap is suitable for all weather, and can keep your ears warm in the winter while keeping your skull breathing in the summer. Moreover, this Amazon Best Seller comes with a lifetime warranty, to ensure your constant satisfaction. The iColor sun hat offers lightweight, breathable material with all around sun protection. It includes removable neck flaps and face protectors for people with sensitive skin, and comes with an adjustable buckle to ensure comfortability. 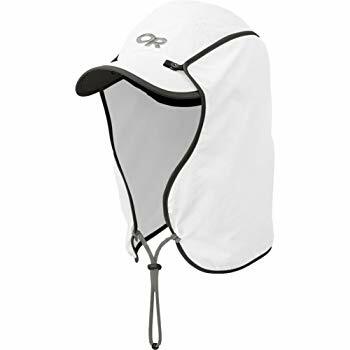 Additionally, this hat is designed to be wind and water proof and the material is quick drying for even the sweatiest among us. Because of the multiple different features, this cap can be worn multiple different ways depending on needs and preferences. And, as an added bonus it can be folded up into a compact size and slipped into a bag or purse. This cap is made with moisture management fabric that keeps sweat from dripping down face (and towards eyes). It comes with a neck shade that protects you from the sun during your workout and has a built in terry cloth to absorb any unwanted moisture. Furthermore, the cap is adjustable and durable and completely reusable – with the added bonus of being machine washable. This Outdoor Research Sun Cap comes with a built in sweat management headband to help keep you dry. It has removable mesh sides that protect from sun but also ensure ventilation and breathability. 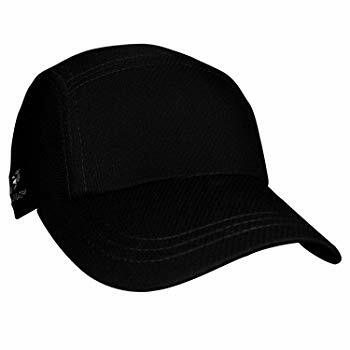 Additionally, this cap comes with an external cinch-strap for adjustability and comfortability. And finally, the sun cap contains a removable chin strap for windy day needs. This American made cap comes with a terry sweatband to keep face dry and a black under visor to reduce glare. The cap comes with an adjustable buckle and a wide ponytail opening and is made from Coolmax fabric to keep up air flow and breathability. 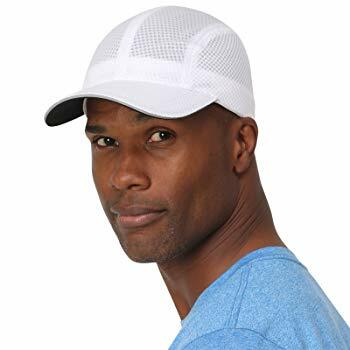 Finally, this sports hat takes up the classic cap shape with a flat front panel, is easily cleaned (machine washable) and dries up to 4 times faster than classic cotton caps. This adjustable sports cap has a built in metal buckle that’s been proven to be more durable then a classic velcro closure. Additionally, the cap is made out of mesh material that ensures that you stay cool and comfortable. 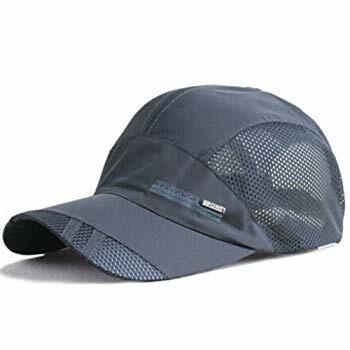 This cap also has the added bonus of not only absorbing sweat, but drying it as well; all while releasing heat and keeping you feeling cool while wearing it. Finally, this cap is completely waterproof and is perfect for outdoor activities. The mesh works and feels better then dry fit. This Let Me Think Sports Cap allows for a sleek look at a reasonable price. The cap is extremely lightweight (at only 1.7 ounces) and provide excellent sun protection. The cap is built with mesh material that allows air flow, and the combinations of fabric allows for a quick dry fabric. Finally, the cap is adjustable and sized to one size fits most, with the added option of ordering a cap made for the size of your head. This sports cap comes with an 100% money back guarantee in order to ensure full customer satisfaction. It is a moisture wicking, quick drying polyester cap, that’s made with thin and soft material for comfortability. Additionally, this cap is adjustable to one size fits most and as thin as a single piece of paper. Finally, this cap is water resistant (as well as quick drying) making cleaning a simple and non-time consuming process. 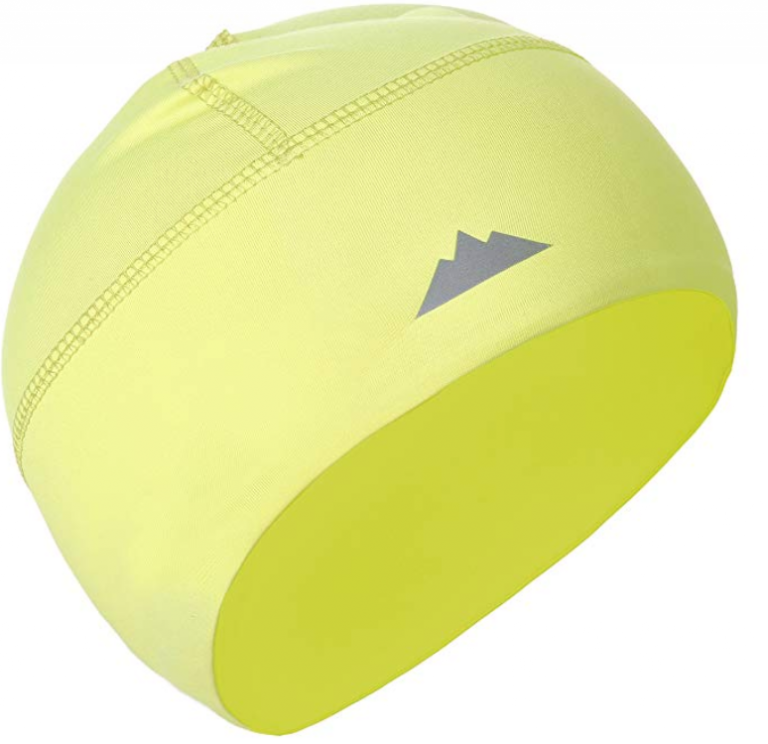 The Trail Heads Running Cap comes with reflective surfaces for increased visibility and safe running. The cap comes with moisture absorbing and sweat wicking technology, keeping you dry during your workout and sweat out of your eyes. Moreover, this cap is extremely lightweight and allows for breathing and consistent airflow. 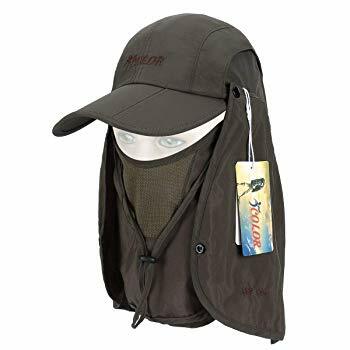 It keeps your face shaded under a dark bill, and comes with an adjustable velcro strap in order to ensure a snug customized fit. Finally, this product comes with a customer satisfaction, money back guarantee to make sure you’re always happy with your purchase. 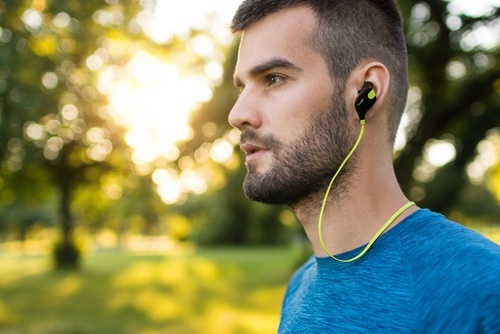 Running is no different than any other outdoor activity, so unless you can outrun the sun, it is important that you take all the proper precautions before embarking on your journey. Common running gear like long sport pants and dry fit sweaters are great ways to cover up, but it’s important not to forget about the head or face. Everyone is susceptible to sunburn while running (even if it’s the winter) especially men with bald heads, therefore a running hat, that can stay on, absorb sweat and block the sun, is an essential part of any runners’ wardrobe. Running hats are an essential part of every runners’ wardrobe, so here’s why it should be part of yours too. Keeps You Cool – Through the evaporation of sweat and the air flow technology, the cap can keep you cool during your run. Hair Under Control – Anyone who’s run with long hair knows how pesky those escaped hairs can be, a cap is a great way to keep those hairs under control and out of your face. Protects from Weather – Most running hats are waterproof, most protect from the sun, and most are made to fit snug to protect from wind. Perfect for all seasons and all elements. Need for Speed – The shape of the cap makes it easier to cut through wind, which could easily result in making you faster and more time efficient. Moreover, the cap cutting through wind could simply mean that you require less effort and find yourself less tired by the end of the run. Looks Good and Good Looking – Enclothed cognition is the idea that our performance is strongly influenced by the way we look. This is especially true for sport and weight loss, so looking good could be the motivation you didn’t know you needed. Regular caps are great for sun protection, and they tend to look super cool with the right outfit. 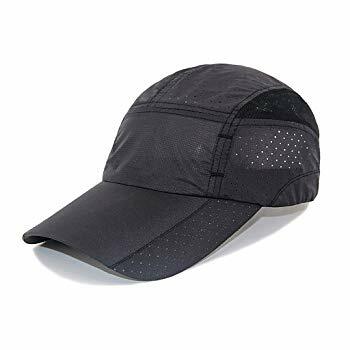 But if you’re looking for something that won’t stain from sweat, won’t fly off your head at the first gust of wind and won’t keep you feeling stuffy and sweaty, then a runner’s cap is simply the way to go. 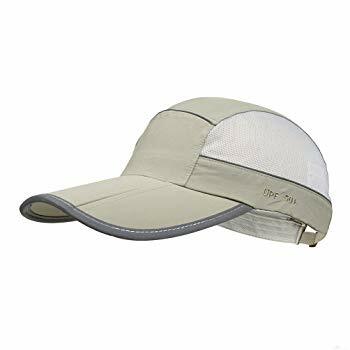 Regular caps are generally made from thick polyester that don’t allow heat release or air flow, and will more than likely keep you feeling like you’re wearing a hat of your own sweat. Different running caps come with different benefits, and it’s important that you invest in the one that works best for you. Some caps invest more in full sun protection, while others put more focus on moisture absorbing and releasing technologies. Nevertheless, there’s a cap out there with the features that you’re looking for and works best for you. 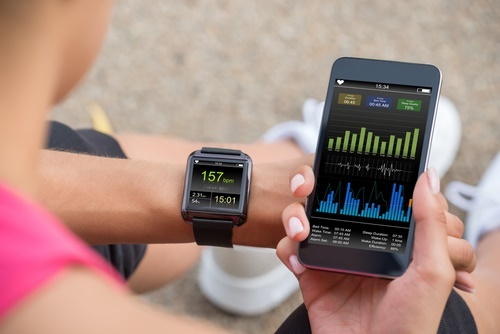 Running is no doubt an important part of healthy living, but it’s important to do it with the correct gear and precautions to ensure that you’re reaping all the benefits and avoiding all the dangers. 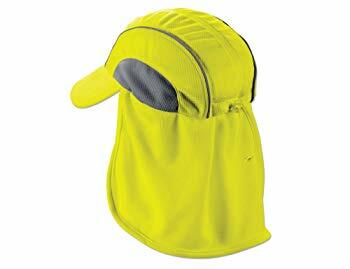 A running cap is an easy way to protect yourself from sunlight and keep that gross sweat away from your eyes. So invest the money, so you can invest in your future.